Ottawa, ON, July 15, 2013 – According to statistics released today by The Canadian Real Estate Association (CREA), national home sales rose in June 2013, building on gains recorded over the previous three months. The number of home sales processed through the MLS® Systems of real estate Boards and Associations and other cooperative listing systems in Canada rose 3.3 per cent on a month-over-month basis in June 2013. This marks the fourth consecutive monthly increase, with activity now running 11 per cent above where it stood in February. Home sales improved in two-thirds of all local markets in June, including almost all large urban markets. The biggest gains were reported in Victoria, Greater Vancouver, the Fraser Valley, Edmonton, Saskatoon, Winnipeg and Montreal. Actual (not seasonally adjusted) activity came in 0.6 per cent below levels reported in June 2012. When compared to year-ago levels, the number of local markets was split evenly between those with year-over-year declines and those that posted gains in June. Greater Toronto and Montreal remain below year-ago levels, although their declines continue to shrink. Meanwhile, sales in Greater Vancouver, Calgary, and Edmonton were up compared to last June. 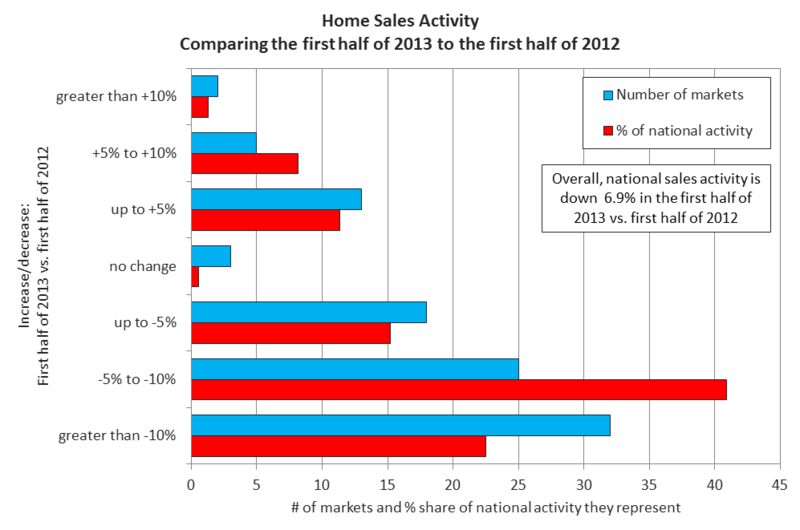 Some 240,068 homes have traded hands across the country so far this year. That stands 6.9 per cent below levels in the first half of 2012, when mortgage rules and guidelines had not yet been tightened. While the gap between sales this year and last year is expected to diminish, annual sales are still expected to fall short of last year’s total. The number of newly listed homes edged down 0.5 per cent on a month-over-month basis in June. New listings rose in a number of Canada’s most active markets including Greater Vancouver, Edmonton, Saskatoon, Winnipeg, Hamilton-Burlington, Oakville-Milton, and Quebec City. This was offset by a decline in new listings in a number of other large urban centres including the Fraser Valley, Calgary, Greater Toronto, London & St. Thomas, Montreal and Fredericton. 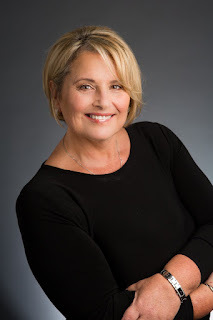 With sales activity up and new listings down, the national sales-to-new listings ratio rose to 53.8 per cent in June from 51.8 per cent in May, but remains firmly rooted in balanced market territory where it has been since early 2010. Based on a sales-to-new listings ratio of between 40 to 60 per cent, two-thirds of all local markets were in balanced market territory in June. The number of months of inventory also indicates that Canada’s housing market remains balanced. There were 6.1 months of inventory at the end of June 2013, down slightly from 6.3 months at the end of May. The actual (not seasonally adjusted) national average price for homes sold in June 2013 was $386,585, an increase of 4.8 per cent from the same month last year. The Aggregate Composite MLS® HPI rose 2.3 per cent compared to June 2012. 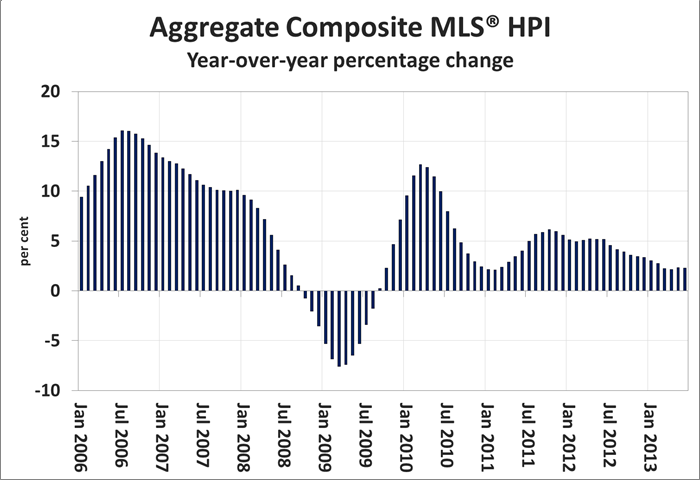 Year-over-year growth in the MLS® HPI had been slowing since late 2011, but has held steady near its current rate for four months. Year-over-year price growth picked up for two-storey single family homes (+3.0 per cent) but slowed for all other Benchmark property types tracked by the index. Prices for one-storey single family homes were up 3.1 per cent yea-rover-year in June, followed by townhouse/row units (+1.6 per cent), and apartment units (+0.4 per cent). Year-over-year price growth in the MLS® HPI was mixed across the markets tracked by the index.